Today, the Southern Border Communities Coalition held a telephonic press conference to discuss how border enforcement affects millions of people in their communities along the southern border. 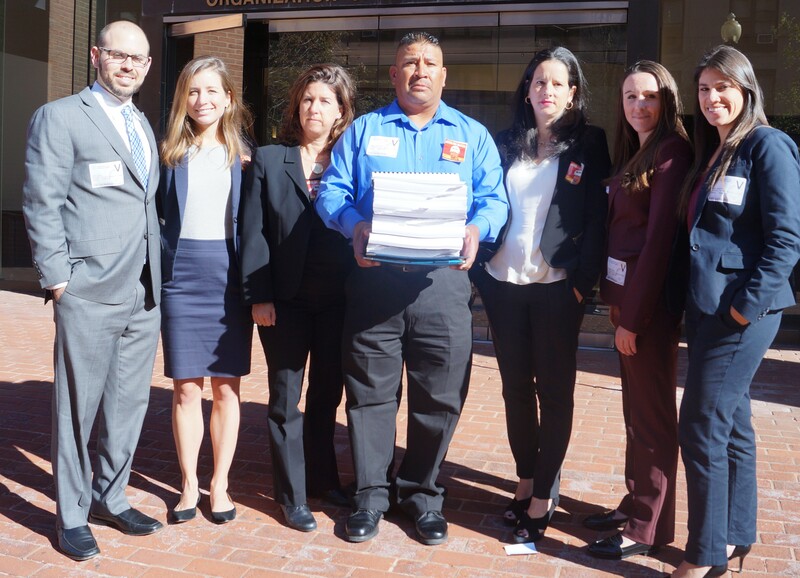 Just one day before the House Committee on Homeland Security holds a hearing on border security, border residents shared how the extraordinary powers granted to immigration enforcement officers impact their daily lives. Below are some of their comments. Listen to the complete telephonic press conference here. U.S. Customs and Border Protection is not only the largest law enforcement agency in the country, but it is the only agency that enjoys extraordinary powers under our laws. Decades ago, Congress gave what is now Department of Homeland Security (DHS) agents operating in the border region extraordinary authority. They can board and search modes of public transportation like buses, planes, trains and automobiles. They have full authority to do so without the need to have any reasonable suspicion. The Fourth Amendment of the Constitution is supposed to protect us from unreasonable searches and seizures. A police officer, or even an FBI agent, need either a warrant, or at a minimum, reasonable suspicion to stop us, interrogate us, detain us, and to search our belongings and our person. Other federal agencies including the FBI, DEA, Secret Service, U.S. marshals and ATF are governed by language in our statutes that require them to have, at a minimum, reasonable grounds in order to engage in that type of activity. DHS is the only agency that does not require any reasonable suspicion in order for their agents to stop, detain, and interrogate people inside this country. So that extraordinary power, coupled with the extraordinary resources it has, the fact that it is the largest law enforcement agency in the country, and has no commensurate oversight, is causing us great concern. It is one of the responsibilities of the Homeland Security Committee and Congress to exercise oversight given the size of this agency and the extraordinary powers it has. There are many parts of the most recent 21st-century initiative of policing that could be applicable to the Border Patrol. It’s all about building community trust, it’s all about transparency. It’s all about that ground-level relationship building that has to occur. The toughest thing about the most recent initiatives that have come from D.C. is that we have worked so hard for the last five years at trying to bridge the gap between the mandates of the state immigration law (SB 1070) and the fact that we have to continually build support. Without the community believing in the Police Department we cannot get our jobs done. It’s been very very trying, and very, very difficult. We have done a tremendous job with it, but certainly these last two weeks have been challenging for us as we try to quell concerns about immigration and any kind of federalized task force or anything of that nature. We have a wall. One of my ranches is 400 or 500 hundred yards from the border and it looks at a 20 – 25 foot tall wall, concrete based. Of course, where I live the Santa Cruz River flows from the South in Mexico to the North into the U.S. Where the river is, there are these Normandy types of barriers that get washed up every 3 to 5 years. Recently, as Homeland Security has pushed forward with a greater militarization of the border, they took the highest place on my ranch and gave me $500. They have already put up an initial tower and they’ll put subsequent towers up there. This obviously has a huge impact on the rest of my property. I happen to own a small cell phone tower business located further North. In that location, where I am using traditional cell phone type of equipment, I surrounded it by a 50 acre barrier parcel. In the case of the Federal government taking from me, there is no barrier and the Federal government uses much higher levels of radiation, and much more complex systems that can actually be quite dangerous to human health. Not to mention that they now have equipment that will look through the walls of people’s homes. Essentially, by taking a quarter acre of my property, they’ve made the rest of the property usable only by cows. Cows don’t care if you look at them. So they are happy. But anybody building a house within 3 or 4 miles of my property will have to be aware that the federal government can look through it. Investment in border enforcement including the border wall is a major disservice to border communities who have been organizing for decades to get adequate drainage, paved roads, street lighting, public parks, health clinics and support for public school. Government has not invested in low-income rural communities to the extent is should in the Rio Grande Valley of South Texas, which happens to be one of the poorest regions, and prompted the governor of Texas to call it a third world like area.The funds used in border enforcement are better used to revitalize border communities by investing in education, health, and public infrastructure and in this way helping fight poverty that plagues the border regions. The Border Wall will not stop immigration, if the root causes that generate migration are not dealt with immigration will continue. 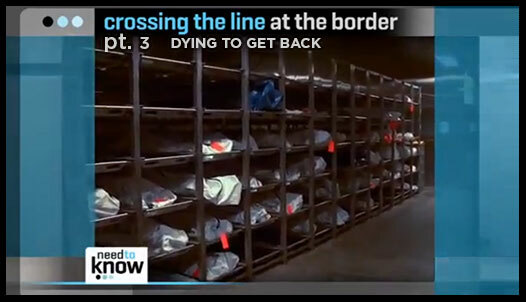 Further border enforcement will guarantee more hardship for migrants who cannot afford to come into the country any other way than risking their lives through the brush, border enforcement will reap bodies in the brush and deserts of the borderlands, it is what many term death by policy. 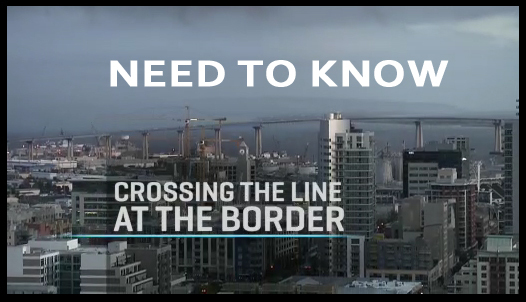 Rarely do we talk about workers’ rights in the border and how they are affected by border enforcement. The immense presence of Border Patrol agents and ICE encourages unscrupulous employers to use them as a weapon of fear making it easier for these employers to exploit and abuse workers. Too often we hear complaints from workers where the employer threatens them with Border Patrol if they do not do as they are told or work for the sub-minimum wages, in many instances less than $4 an hour. Labor laws are violated flagrantly every day in the Rio Grande Valley and other parts of the border. We need commonsense immigration reform that prioritizes human rights and workers right in this country not further investment in border enforcement. Within the 100-mile border zone, border patrol checkpoints operate on strategic roadways that lead into the interior of the United States. I call these Border Patrol checkpoints “interior border checkpoints” because I like to focus on the idea that they are within the United States. 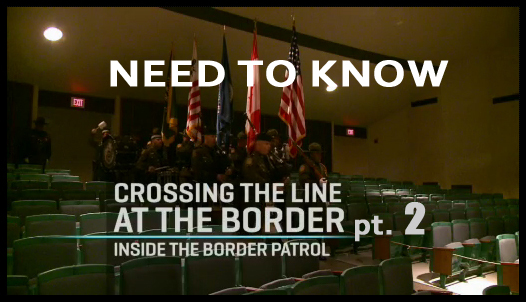 So my experiences occur with Border Patrol 60, 70, 80 miles within the United States. My current research shows that within these Border Patrol checkpoints marginalized identity categories/signifiers like race, language, and national origin are actually deemed suspicious. In regards to my experiences as a United States citizen; I have lived the entirety of my life in a small colonia in southern New Mexico – well within the 100-mile border zone. This meant as an undergraduate that I would have to commute through a checkpoint to attend college, or if i wanted to go to the doctor, or go shopping for groceries. As a young, Mexican-American male, I embody multiple “suspect” factors that are deemed “suspicious” within BP checkpoints. In reality, in De facto, I do not have the ability to ever be “law abiding” or “non-suspicious” in the eyes of law enforcement in the U.S. context. My mere existence as a specifically-marked body justifies any encounter with armed federal agents. I’d like to emphasize this is not to blame the individual agent per se, but to thoughtfully interrogate and dismantle the policies that continue to allow discriminatory policing within border communities and and to an extent nationwide.